The buttons light up with red LED lights, which was very unexpected! The volume is adjustable which is nice. Even thought it's so big, the sound is pure Tamagotchi. 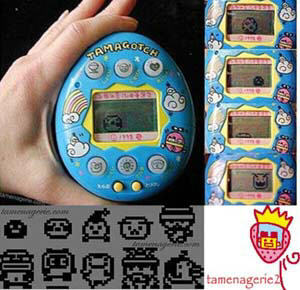 It's about the same maintenance as a regular Tamagotchi. It evolves on a nice schedule. I must admit, I was lazy about taking care of it. With such uncute characters, I was not really inspired to spend a lot of time with it. Thinking back, I really should have while I had the chance. :0( I was loaned the one I played with.